Endless Water | Just Shooting Memories! During my hike in the Sope Creek area of the Chattahoochee River National Recreation Area, I ran across this small brook that emptied from the bottom of Sibley Lake. 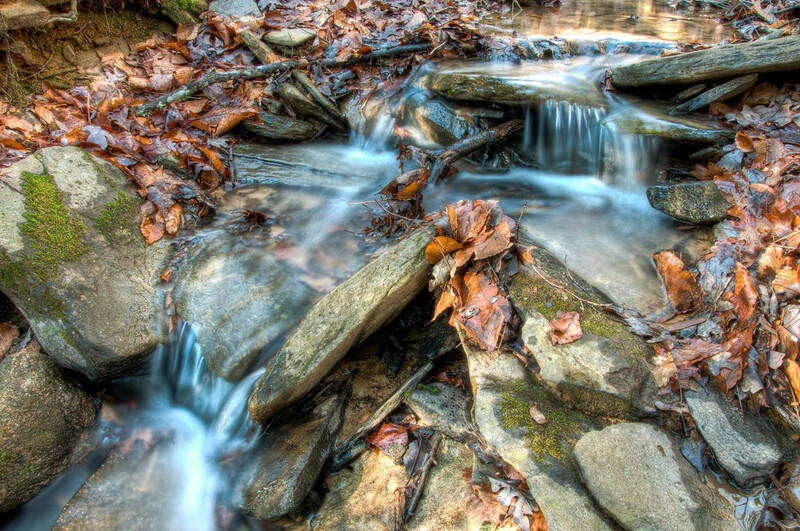 I loved how the water just seemed to flow over the rocks and how clear it was. There are very few creeks or rivers that are clear in North Georgia. For as much rain as we have had recently, this was completely opposite from Sope Creek, which was completely muddy. I love streams like this and you caught it just right. These are no where to be found close to home here.